Words and Music by Jos. J. Sullivan. I'm in love with this turtle dove, for to me she is so sweet. 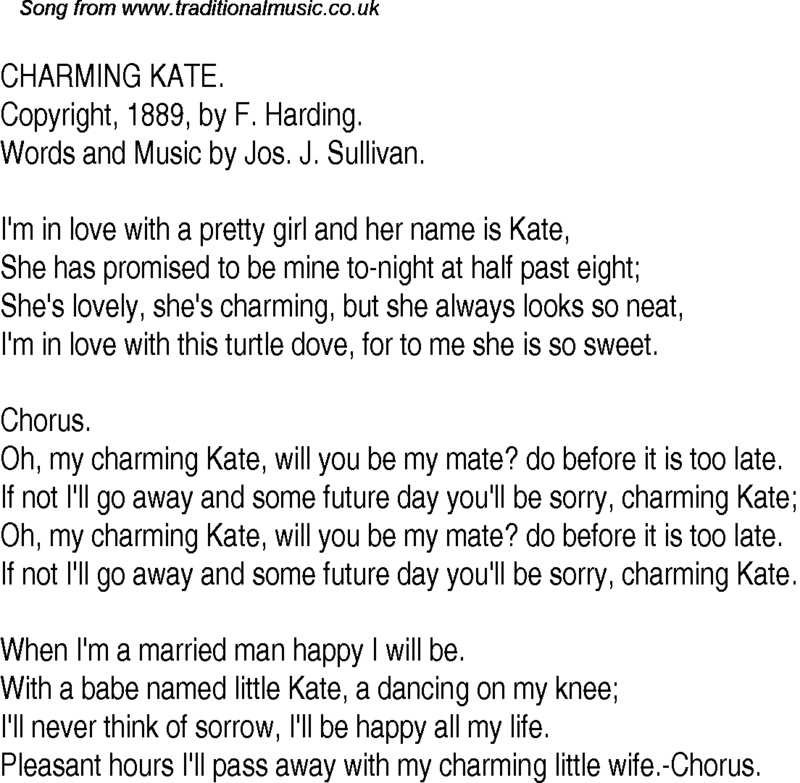 Oh, my charming Kate, will you be my mate? do before it is too late. If not I'll go away and some future day you'll be sorry, charming Kate. When I'm a married man happy I will be. I'll never think of sorrow, I'll be happy all my life. Pleasant hours I'll pass away with my charming little wife.-Chorus.